Born in 1993 in Kimberly, South Africa. She lives and works in Cape Town. Bronwyn Katz is a multi-disciplinarian artist who has created sculptures, installations, videos and performances. Her artistic explorations consist of an examination of the subconscious impact of the unsaid or History’s oblivions through a subtle work of reactivation of memory. 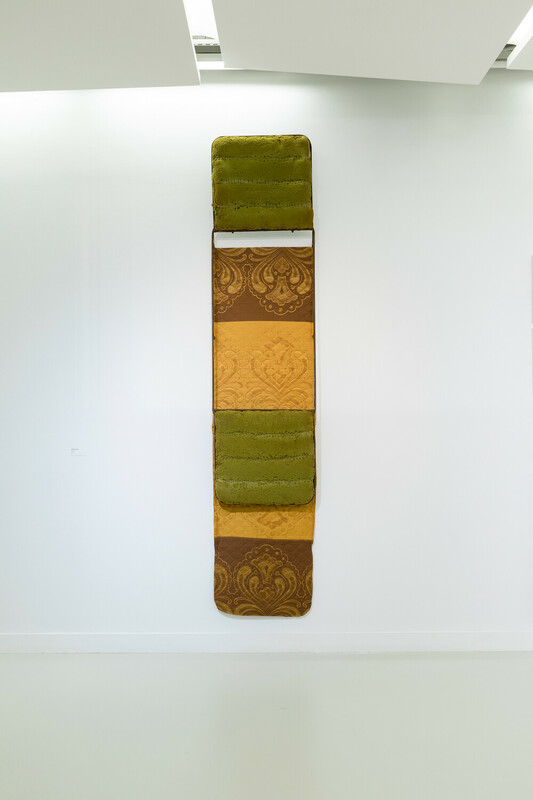 In her sculptures, the recurrent use of mattress foam fragments 18 19 and old mended sheets links the body to the world and shows that we are all part of our personal history as well as the collective narrative. In showing these structures outwardly, the thread and seams in her fascinating work, she suggests that we need to dig into the hidden folds of our memory and into history to confront the less attractive aspects to (re-) construct other perspectives. The poetic minimalism of her work offers an alternative, fictionalized narrative as a form of resistance to the unequivocal historical canon. Bronwyn Katz graduated with the BFA from the Michaelis School of Art, Cape Town in 2015, and then was awarded the Simon Gerson Prize and the Sasol New Signatures award. In 2016, she participated in the main exhibition of the 12th Dakar Biennale as well as in several collective exhibitions in South Africa including the Women artist collective ‘iQhiya’ at AVA, Association for Visual Arts in Cape Town. She participated in documenta 14 (2017) with this collective created in Cape Town in 2015.